Warlords: Epic Conflict is the new version of the popular Warlords series. 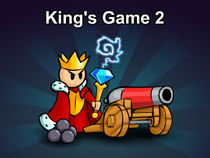 Command your soldiers, control vast armies, buy upgrades, defeat your enemies and become the king of the world. Game offers different modes like campaign mode, survival mode, quick battle and others. Test your abilities either in single player or 2 player game.